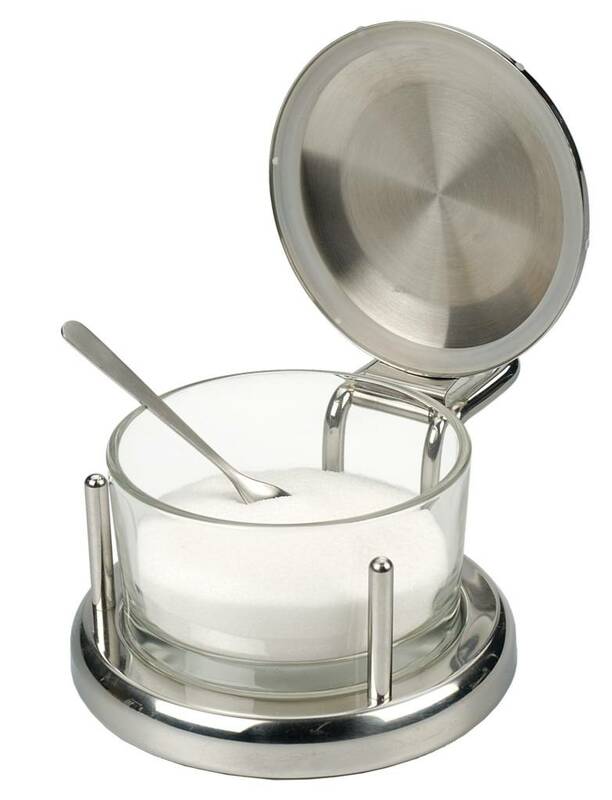 Durable 18/8 stainless steel frame holds an 8 oz. 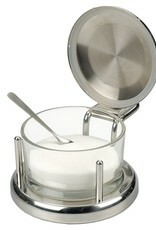 glass bowl and features a unique flip-top lid with silicone gasket to keep your salt fresh and dry. Dishwasher safe but we recommend hand washing.